Cannabis concentrates or cannabis extracts have been gaining popularity in the industry. They are more potent than the standard cannabis buds. Through the process of extraction, undesirable byproducts are removed. The end products will then be in their purest form, making the concentrate highly potent. And their smell, taste and effects are magnified due to the high potency (50 to 80% THC). However, the extraction process of Cannabis products is complex and poses possible dangers, when not handled by trained professionals. That’s where Cannabis extraction technicians come in. A Cannabis extraction technician is one of the highest paying jobs in the industry. This is due to the complexity of the process of extraction, wherein, a high level of expertise is needed to perform it efficiently and safely. Thus, it has become one of the most sought after jobs in the quickly developing cannabis industry. Cannabis extraction technicians perform quality control on the raw plant material before it enters the extraction process. This is to ensure, that only the highest quality Cannabis buds will be used to produce superb quality concentrates. To ensure that the entire Cannabis extraction operation is organized and efficient, extraction technicians also maintain data for product and inventory, safety equipment and records, and ensure that everyone complies with regulations, ordinances, complex statutes, standards, and laws. Use of Dry Sieve Tools. A sieve or sifter is a tool used when extracting unwanted Cannabis plant materials, usually made of woven mesh, net or metal. This is the simplest form of extracting dry plant materials, producing an end product called kief. Use of Water. Similar to dry sieve process, water can be used with a multi-level screen sieve to filter psychoactive resins from the cannabis plant. Cannabis trim is mixed with ice water, strained after being agitated. The end product is bubble hash, the most basic type of concentrate. Use of CO2. This is the least-toxic form of solvent based cannabis extraction. With the use of proper equipment and proper pressures applied to the raw materials a CO2 oil will be formed and will be used to isolate essential oils from the cannabis plant. Use of Butane and Propane. The use of butane and propane in solvent-based extraction has become very common due to its non-toxic and non-polar attributes. And they dissolve cannabinoid and terpenes efficiently without affecting its medical properties. Well, this job pays a lot! Due to the required expertise and high-level skills in handling complex Cannabis extraction methods, companies are offering generous compensation to the hired lucky ones. While providing exceptional knowledge and skills to the industry, you get to do what you are passionate about, working with your precious Cannabis herbs. Since being a Cannabis extraction technician requires continuous learning to be up-to-date with the latest technology and extraction processes, this job will widen your horizon about the industry, while you enjoy taking on responsibilities and fulfilling every task. You will never be bored having this job! There are numerous types of extraction processes available and continuously evolving. You can create different concentrates with varying effects and take part in the growing industry by sharing your craft to all Cannabis enthusiasts. As mentioned, Cannabis extraction is a complicated and dangerous procedure. It takes a professional expert to handle this process to ensure safety and to produce high quality concentrates. And years of practice in handling different types of extraction and sufficient knowledge will result in a seamless job execution. The more extraction processes you know, the more chances you get hired. 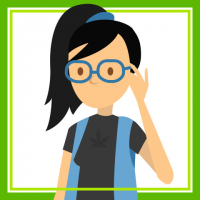 Most Cannabis companies of today would hire people who are multi-faceted, those who can easily adapt to the changing demands of Cannabis enthusiasts. Effective planning is essential for this job. Full preparations done before engaging in production will ensure a smooth flowing process with minimal errors. Extremely focused. You must be able to eliminate all distractions that will negatively affect the business production. Should have a great deal of time management skills. You must be able to determine which tasks should be prioritized, to ensure that everything will be accomplished in a timely manner. Overall, this is a very exciting field to work in and many people dream about such a job. You, however, must have the dedication and the discipline that it requires to gain and maintain the necessary knowledge. If this is your thing, good luck and all the best. Is there another job in the cannabis industry that you are eyeing to get?